Better than the beer to check out this odd looking woman with three breasts. 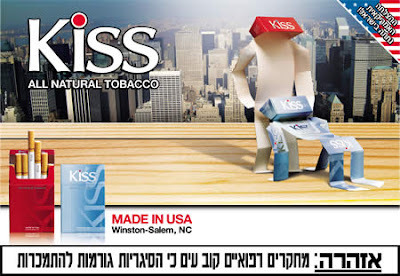 Kiss Tobacco - Israel - Banned as it contains "obscenity and ressemblance of human beings"
Paddy Power - Ireland - Banned as "the betting odds referred to each woman's chances of either being knocked down by the truck were offensive and demeaned older people" . 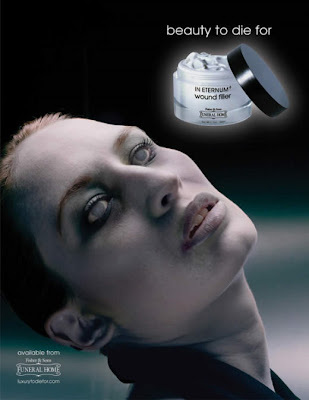 Energizer - Chile - Rejected by the client. 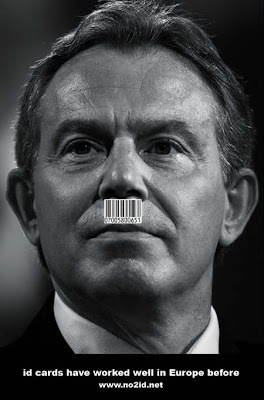 NO2ID - UK - Most Complained as "the barcode on Tony Blair's upper lip made him resemble Hitler, which was offensive" . 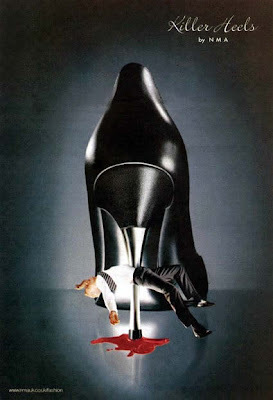 Killer Heels by NMA - UK - Banned as it "trivialised and stylised violence". Gucci - UK - Banned commercial. 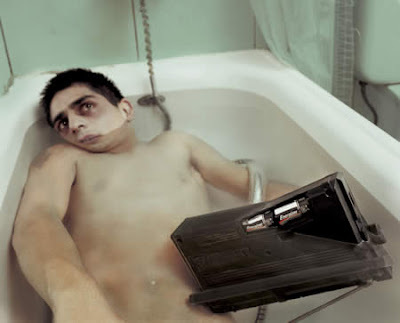 Six Feet Under TV Series - UK - Banned as they were "offensive, shocking and likely to cause undue distress". 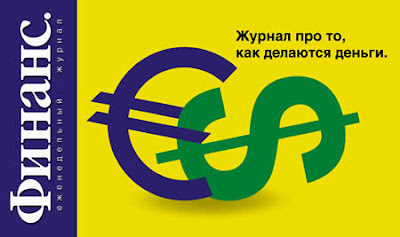 Russian Finance Magazine - RUSSIA - Banned for being "immoral" . 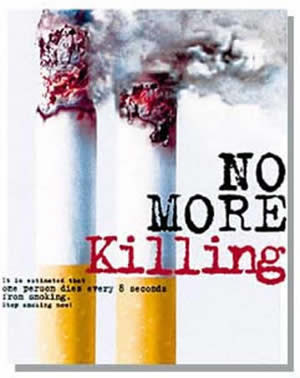 Towers Anti-Smoking Campaign - CHINA - Rejected as "inappropriate" . The Breast Cancer Fund - USA - Rejected by advertising spaces run by Viacom "over fears that its depiction of mastectomy scars would prove to be too shocking to the public" . The Rules of Attraction (movie) - USA - Banned as "the copulating toys were considered offensive and obscene".